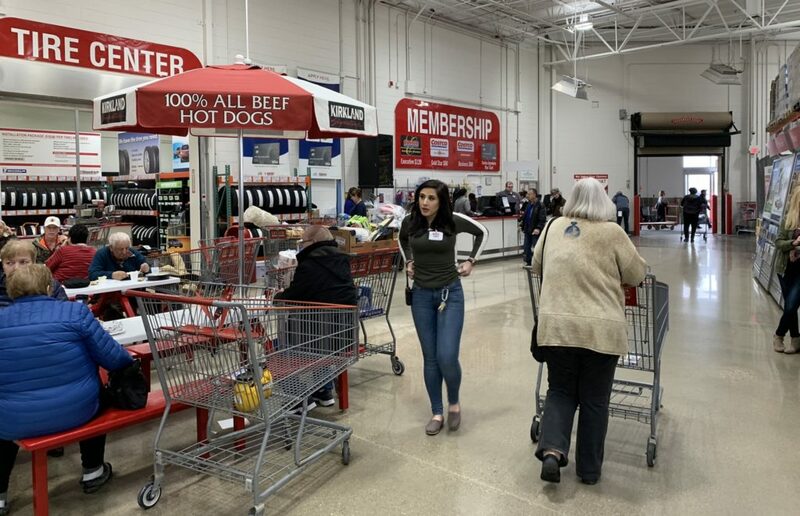 The Champaign City Council expressed approval of a sales tax revenue-sharing plan with Costco to build a new store at Market Place Shopping Center during a study session on Tuesday. The council endorsed an agreement that would allow Costco to be reimbursed $2.75 million in sales tax revenue for a period of up to 10 years, the stipulation being that the new store would be built at the mall. Plans call for the demolition of the former Bergner’s building with Costco creating a new building that would be adjacent, but not connected, to the mall. The agreement would offset increased costs for Costco, which would have lower expenses if it constructed a building on the edge of town, Champaign city planner Rob Kowalski said. The addition of Costco at Market Place could spark increased traffic at the mall, Kowalski said. Coscto is expected to generate $7.1 million in sales tax revenue in its first six years, according to the proposal. Chambanamoms.com broke the news last week of Costco’s potential addition to the Champaign retail landscape.